There is no doubt the original Skil77 is still a popular tool on the jobsite and it has seen few changes over the years. People seem to be happy with the design and always ask that it be left alone, but when pushed further they do wish it were lighter. The MAG77 was Skil's first lighter 77, but the MAG77LT goes even further. Thanks to magnesium, the MAG77 had a weight that was a full two pounds lighter than the SHD77. Thanks now to even more magnesium, as well as some further refinement, the new MAG77LT is four pounds lighter than the SHD77 and also delivers more features. It now has the capability to make beveled cuts up to 53-degrees with a positive lock at 45. The quick action adjustment levers have been made stronger, while an on-board six function wrench can be used to change blades, replace brushes, and do other tool maintenance. 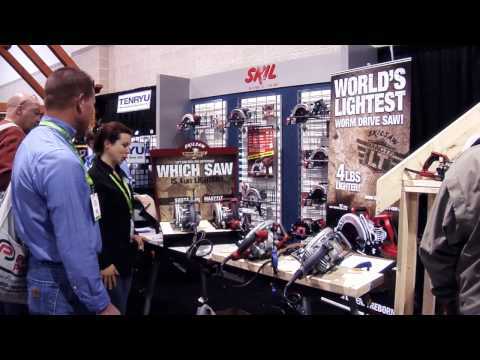 Check out what consumers had to say about the new MAG77LT SKILSAW at JLC Live! The MAG77LT is 4 lbs. lighter than its predecessor, the SHD77. 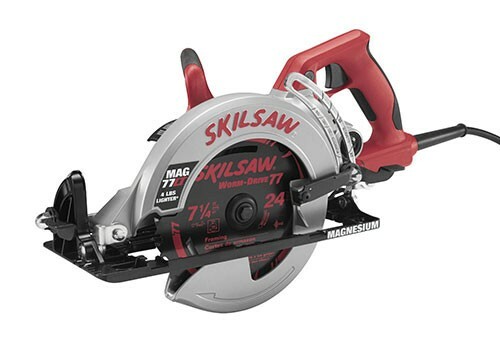 Read more details, where to buy and view the 2013 Event Schedule at http://www.skiltools.com/MAG77LT.